Social media dashboard company HootSuite this morning announced that it has acquired an add-on for the Firefox 4 browser called TwitterBar, which has been downloaded nearly 2 million times to date and enables users to post to a variety of social networks straight from the web address bar. 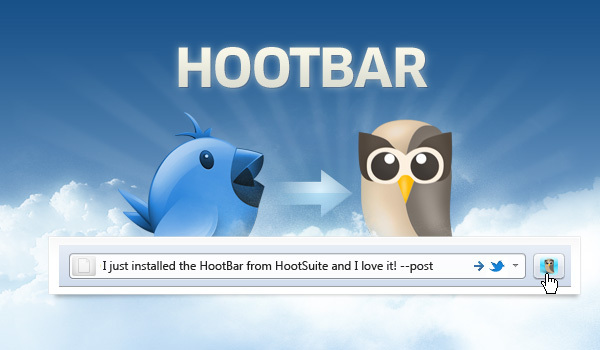 HootSuite has renamed the add-on HootBar. In two years, HootSuite says it has grown to over 1.5 million users worldwide. The company added that it has recently turned cash-flow positive, after introducing paid plans just four months ago. The company currently employs 48 people. HootBar, initially created as TwitterBar by Tony Farndon and developer Christopher Finke, is software licensed under the GPL v2. It is now part of HootSuite’s suite of extensions. The HootBar basically lets users post messages to Twitter and other social networks, directly from the Firefox browser’s address bar and from multiple accounts, using simple commands. If you’re so inclined, you can get it here.